This book provides an introduction to the Mediterranean world in which the early Christian apostles moved. Drawing on the geographic setting and available archaeological materials to create a sense of the contemporary environment, the book traces the 15,000 mile travels of Paul, whose world was also the world of Peter, John, and many other early Christians. 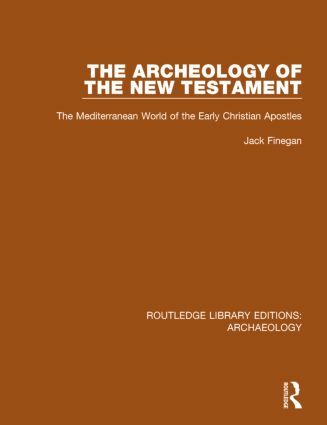 The author presents a complete chronology for the major apostles based on his integration of existing histories, literary accounts, and archaeological information with new discoveries and new theories on dating New Testament events and documents. The text is lavishly illustrated and as fascinating now as when originally published in 1981.